The history of the wine estate begins in 1970. Pierre and his son-in-law Christian both vine growers and passionate wine lovers, cultivate their hectares of vineyards in Aléria. The estate gradually expands as plots of Merlot and other traditional varieties such as Grenache or Syrah are planted. 40 years later, it is Christian’s son, Titi, who takes the controls. As a real enthusiast he quickly affirms his willingness to imagine, grow and make his own wine. Work begins gradually, the acquisition of small and large equipment allows the winery to take shape slowly but surely. The Merlot plots are replaced by Niellucciu, Sciaccarellu or Carcajolu Neru vines. 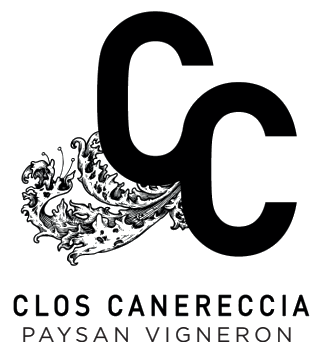 Vermentinu takes back its rights in the vineyard of Clos Canereccia. All harvested grapes are processed by gravity in stainless steel vats. In the basement, the winery houses the oak barrels where the red wine is being matured. 8 hectares are now entirely dedicated to this new winery. The expressive, ardent and unexpected wines are the reflection of the young winemaker Christian at that time. “Making wine is good, sharing it is better"
Installed in a former concrete tank, the new tasting room allows welcoming of wine connoisseurs and of all those who want to know more about the subject, in a surprising atmosphere, at the ideal temperature, for original tasting. One passion leads to another, and soon the winery’s philosophy tends toward the opening. In those same tanks, we can discover the history of wine through an exhibition and amphorae.